C’è molto entusiasmo e molto fermento per questo “numero zero” in zona 5 (Via S. Gottardo/Via Meda/Chiesa Rossa/Piazza Abbiategrasso/Conca Fallata). Non si tratta di proposte consuete per l’ennesima zona proposta tra le tante nel Fuori Salone: il Municipio 5 insieme agli organizzatori punta su cooperazione e umanizzazione, design etico e sostenibile, attenzione ad aspetti profondamente legati alla persona inserita in una comunità. 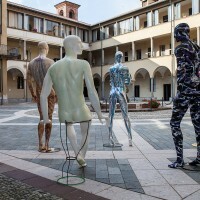 L’iniziativa, ideata da Massimo Caiazzo coinvolge i visitatori in un percorso dedicato alla possibile integrazione tra l’uomo e l’ambiente urbano, tra persone fragili e lavoro, for therefore enhance their daily actions and relationships and enhancing the individual and the community. 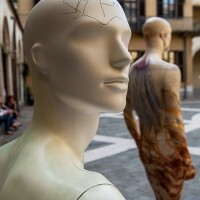 Un modello di cooperazione tra cittadini, associazioni, istituzioni e realtà imprenditoriali che sottolinea la necessità di umanizzare il design per creare contesti sereni e vivibili da tutti, nel pieno rispetto del benessere e della dignità della persona e di tutta la comunità. 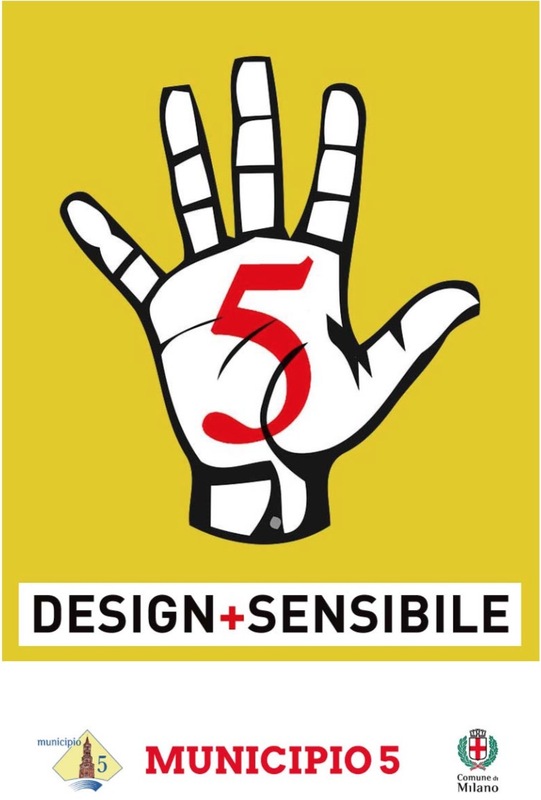 Una grande occasione per rigenerare e rivitalizzare il tessuto sociale e culturale del quartiere e per offrire un approccio diverso al design nell’ottica di una reale valorizzazione delle periferie. 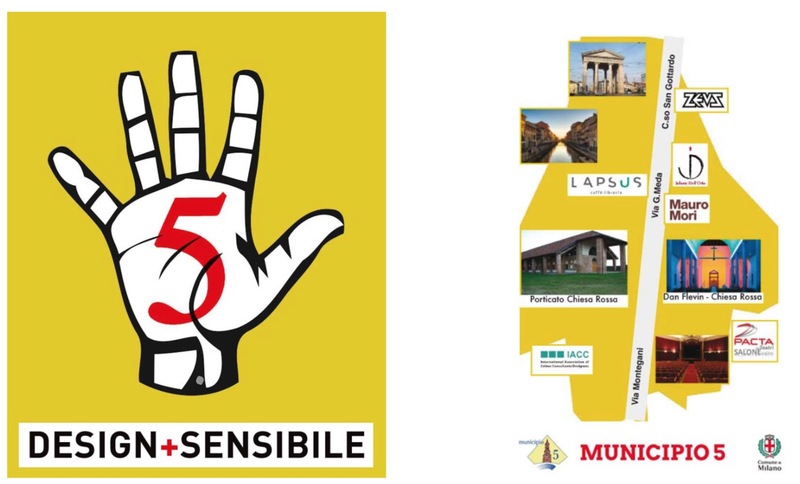 In questa ottica il Municipio 5 ha sostenuto con forza tutta l’iniziativa. 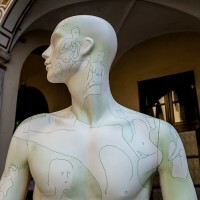 Un programma intenso e carico di contenuti che dal 17 aprile si svolgerà nelle location più significative con installazioni e mostre dedicate al tema insieme alle tante realtà eccellenti della zona: Zeus, Mauro Mori, Alessandro Guerriero e la scuola Tam Tam, Johnny Dell’Orto e Artè, Fulvio Michelazzi e il PACTA Salone, Marco Rizzuto, lo IACC-Italia e le esperienze sul colore, l’Hub… fino all’installazione di Dan Flavin alla Chiesa Rossa. 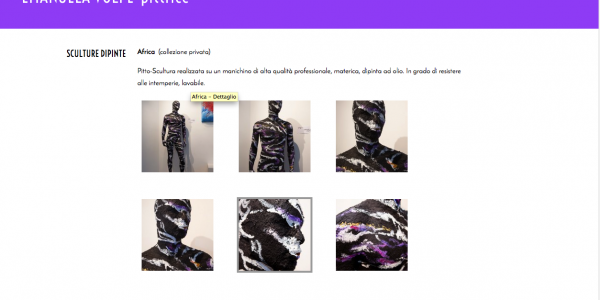 Collaborazioni con associazioni importanti come Wurkmos e Ri- costruzione, oltre a laboratori e conversazioni, occasioni uniche condotte da professionisti illustri. 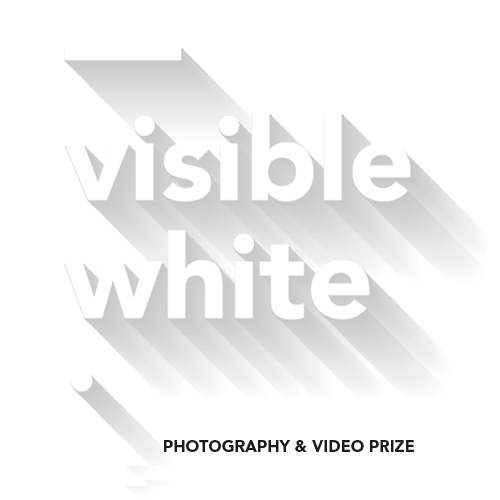 Registration is now open to participate in Visible White, the international competition for photographers and video artists now in its 3rd edition, edited by Marinella Paderni and Paul di Felice and created by Celeste Network and the Fondazione Studio Marangoni: in palio 3.000 euro prize. This year's theme is' You see me. 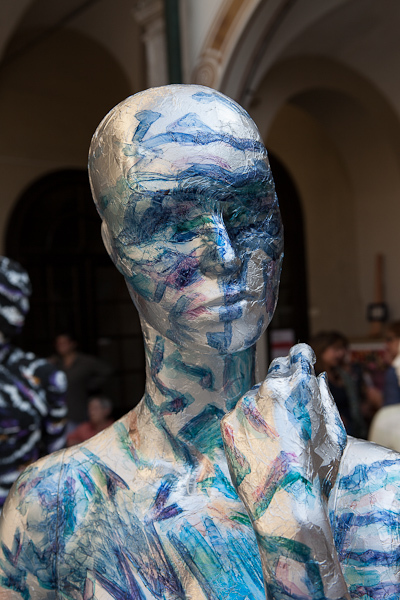 Personal Identities in the Digital Age’ and want to investigate the new tendencies of the contemporary portrait artist, brought daily to deal with the visual scenario and to differentiate themselves from the amateur portrait. 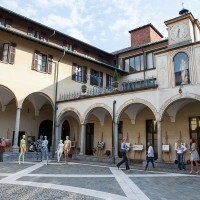 The works must be submitted online by adhering 28 February 2014 and must be developed on the basis of the theme proposed by the curators Paul Di Felice and Marinella Paderni. The photographers and video artists may submit a single work (20 €) or project (45 €), the latter can contain up to 10 works in photography and / or video, and must be accompanied by a statement. 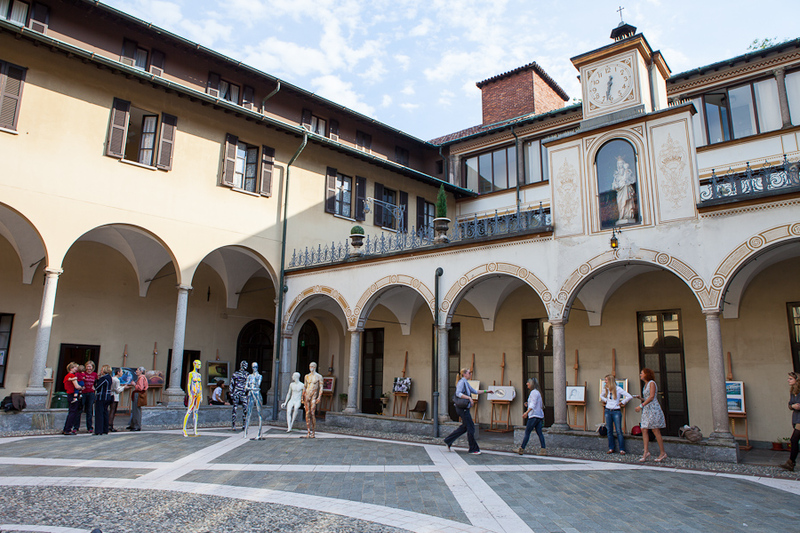 Twenty finalists will be selected by a committee and will exhibit their work at the fsmgallery Fondazione Studio Marangoni in Florence from 16 May to 16 June 2014. 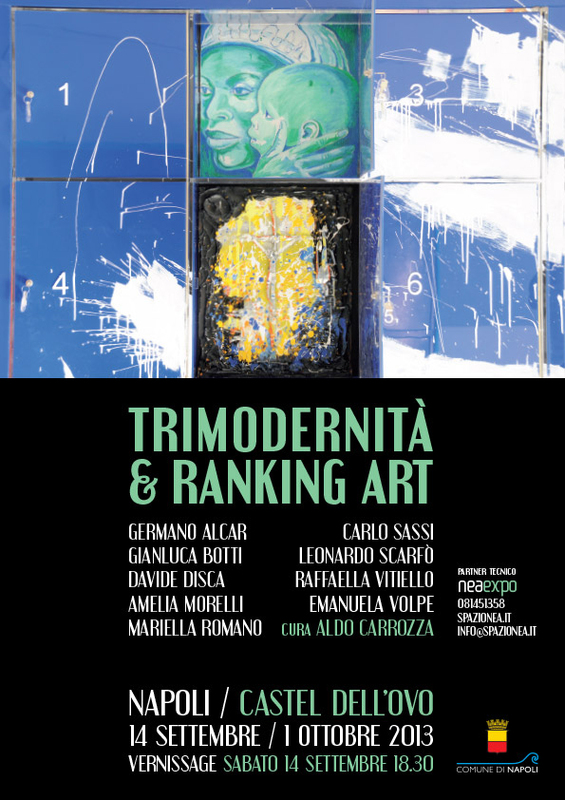 The critic Aldo Cab has the magnificent backdrop of the Castel dell 'Ovo in Naples Ranking Art, new art movement. Good vision! In the hands of the artist Emanuela Volpe a forgotten item back to life. 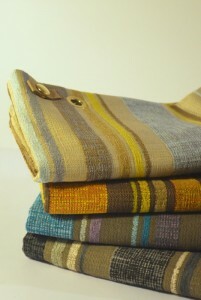 More news from the exclusive showroom di Newform! This time, from 16 to the 23 May, Space will, in via Fiori Oscuri 3 Milano, a group exhibition of art from the title "The forms of water". The collective was born in a space that has water, and design that surrounds every day making it usable, its raison d'être. 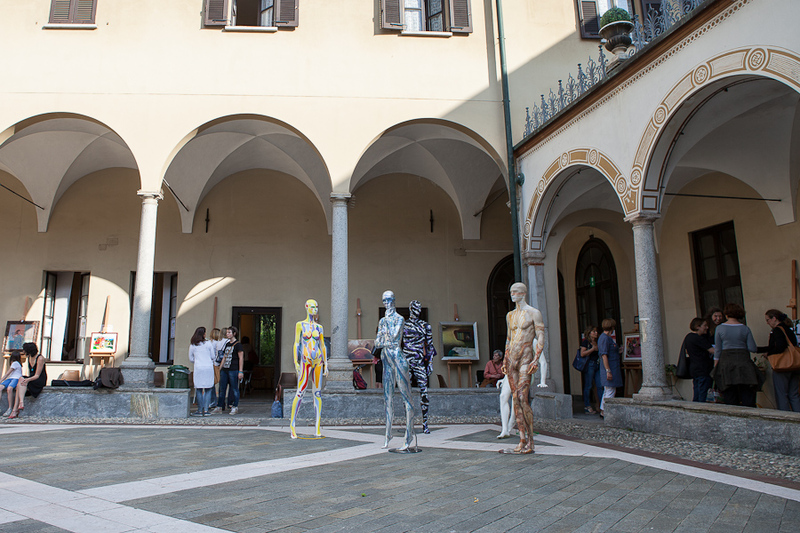 The exhibition, that has received the patronage of Brera, è curata da Cristina Muccioli, art critic and professor at the Academy of Brera, combining Gastone Mariani (painter and former Director of the Academy of Brera) Eugenio Moi (painter) and Nada Pivetti (sculptress). Each of the artists will offer a personal view of the element-ever-changing, vital, polymorphous- said that the theme of the exhibition. 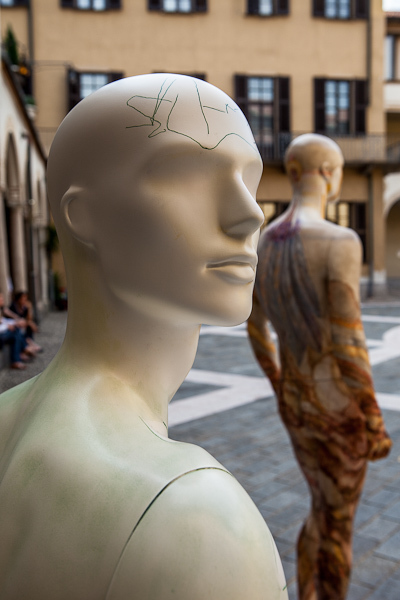 The Showroom of Newform is an exhibition environment of great value in the heart of Brera, dedicated to the design, strongly focused on research and propose the Italian excellence with a strong connotation of style and technological innovation. Since he was born, Space tries exchanges of mutual fertilization with the neighboring area of ​​art, proposing events, exhibitions, exhibitions. Thanks to Newform and activities of the creative workshop Newform LAB will be a new journey of discovery of contemporary art and the water that, through the artists, will be able to elicit interesting multi-sensory perceptions. 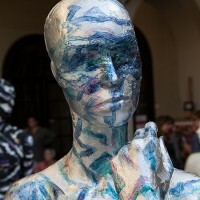 "The forms of water" is another project that demonstrates the mission and spirit of Newform and the continuous search of unique experiences and paths where they meet wit, talent, avant-garde, beauty and functionality in all its forms! "The forms of water" opens Thursday 16 May 2013, with a welcome cocktail, pm 18.30. Headline: "The forms of water"
For the other days of the visit is by appointment. 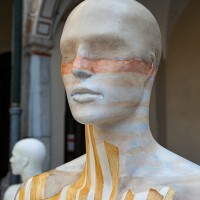 A history of the Newform, www.newform.it, through time oscillating between past and future. The importance of the link with tradition and experience gained over the years is interwoven, in philosophy with a strong desire to look forward with an eye able to anticipate and suggest new styles and trends. Thanks to a long experience in assisting the most modern production processes digital, stages of processing and finishing craft, Newform is distinguished by its meticulous attention to detail that make each piece unique. Constantly looking for new solutions in the field of fashion design and technology, the added value that makes Newform a different reality and superior quality is the strong emphasis on responsibility and environmental communication. An inexhaustible imagination and strong corporate social responsibility Newform guide to the future. Back from 12 to the 14 April 2013 in Via Monte Rosa 91 Milano AAM Art Accessible Milan, event created and directed by Tiziana missing, realized thanks to Art Ipse Dixit in collaboration with PwC, Eventiquattro and Aston Martin. Also this year AAM fielding the desire to bring more people to contemporary art focusing on the dual concept of "accessibility and quality": Come? confirming the ticket cost of "0 Euro", focusing on the quality of the artists as Ferdinando Scianna and Mimmo Paladino, creating different events conceived and designed ad hoc as the presentation of the book "Investing in Art"written by Claudio Borghi Aquilini (published by Sperling & Copper), but also giving back to the galleries on the role of protagonists and calling them to submit curatorial projects dedicated to emerging artists but not limited to. Deodato Arts is a young gallery was founded in 2010. Already present at AAM 2012, returns this year focusing on the work of Jose Molina, Madrid artist class 1965, and in particular with the series "The Forgotten" and "AlmaMujer". "The Forgotten" 'consists of 14 portraits that the artist describes as "human beings broken, of another time, Souls .... back to rid the Earth and tell their stories ..... forget it is they who reveal the hidden pitfalls and paint the doors with the blood of traitors. "Jose gives life and dignity 'to those who have returned to remind us that , approach, participate in order to change. "AlmaMujer" arises from the need to awaken the 'feminine energy that exists in all of us, transforming it into an instrument of communication, sharing and "survival". It includes over 150 works with different techniques and styles: oil, watercolor, pencil, serigraphy, incision, sculptural elements, the use of natural materials such as roots, wood, stones, moss, branches and grass, representing the strong attraction between women and nature. 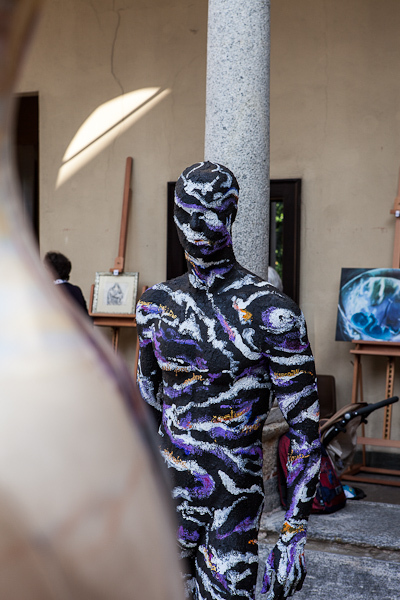 The expressionist painter Emanuela Fox will present some of his works at the International Swiss craftsmanship fine, Swiss Art at the event in collaboration with ARTE LUGANO. 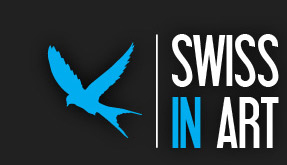 All this is just € 30,00 total 13 months, 1 months are free for members of the heavenly reward! For those who want the e-commerce version of the additional cost is € 20,00 when purchased together. then returns the standard period for valid 12 months at the same price. This site aims to be a journey through time in my New York, from the late 80 to date. The first time I saw the real New York City I was fascinated and enchanted. This would not have been possible if one of my first trip I had not known Charles Medori, I owe all my gratitude for showing me the true essence of the City. I was infected with his passion for the murals and the roads almost inaccessible, but full of life. Just out of just from Manhattan to find themselves in very different neighborhoods, where you can hear flavors, odors that originate from anywhere in the world, as if there were many small microcosms of different cultures living together in a large community. Years of traveling have brought me much satisfaction, both artistic and personal; 11 years ago I exposed about 40 My photos in a solo exhibition in Milan, where I met my husband. Now he follows me in my travels and is particularly valuable in the construction of the site, in its entirety. What came out and that is visible on the site is my journey "private" through the maze of this city, multi-faceted, by murals, that is true art. The motto “Graffiti is an art, not a crime!” is entirely appropriate. The murals, "telling a story", have a life, sometimes short sometimes long, are very important from a cultural point of view, Social and pollitico. The murals reflect the hopes, the paure, the tensions, tell of wars in progress or completed, drug problems, leave a memory to Missing Persons, more or less famous. They are a way to understand reality, to understand the disruptions that are occurring; The murals keeping track of everything that happens and you lose both of enormous importance. Over the years the life of the murals themselves radically altered. 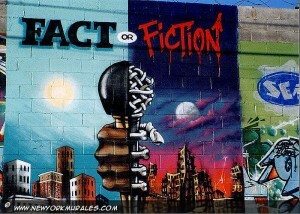 Whereas until a few years ago could be seen in every neighborhood murals, in many ways, everything is now almost entirely concentrated in 5 Pointz, as if there was a need to "confine" the art within the walls. It is a great sin, fal as the walls reflect the soul, the sufferings and hopes of an entire country. 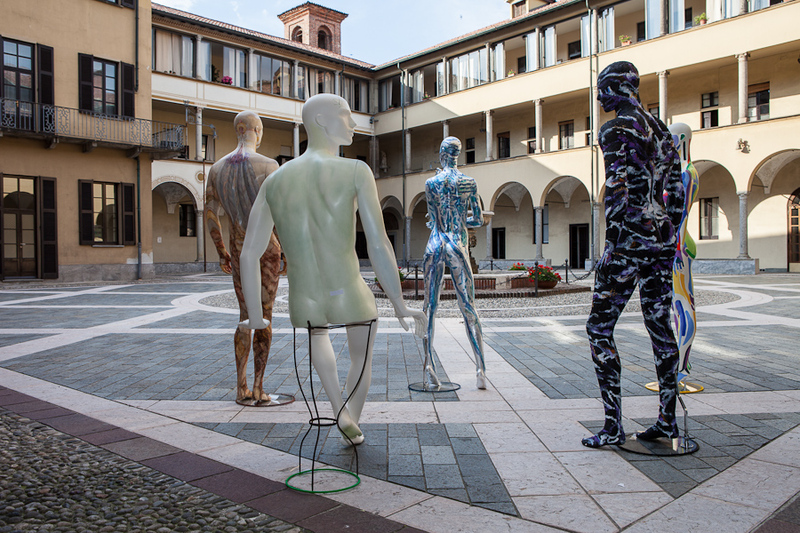 “Born to shine” The group of five mannequins is a tribute to the Olympics, the original meaning of these games. Offers an insight into the possible victories but also the richness of diversity, comparison between men of different cultures, that measure seeking to outdo themselves. The phrase is taken from a text of Nelson Mandela, which speaks of equality and moral values, dell’ pride of men born to shine the glory of God. 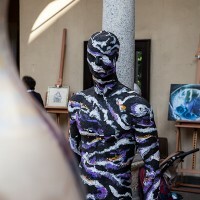 The Africa, on a black body and rough, have shown that initiation of paintings from many African nations also coincides with a collective celebration (Emanuela Volpe). The Europa, sophisticated graphics memory on a green field citing the nature and cultural traces of the old continent (Pea Trolli). 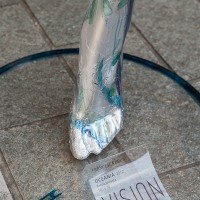 The Oceania, a gleaming silver version of the body and covered with watery colors and changing tides (Francesca Bruni). America, two opposing worlds and vital, suspended between past and future (Rita Carelli Feri). L'Asia, bodied stains in contrasting colors for a vibrant and growing mutation (Renata Ferrari). 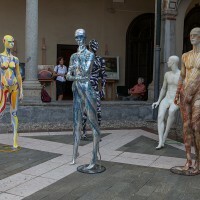 The beautiful and precious mannequins were donated by Vision Mannequins. Francesca Bruni, nata a Erba (CO) in 1970, lives and works in Milan. He received his artistic maturity, and graduated in painting at the Academy of Fine Arts in Milan. He later attended the studio of Professor Luigi Lomanto devoted to increasing the technical drawing and oil painting. In 1997 joined the group Artemisia. Its business of decorative painting for private, companies and local public. Rita Carelli Feri born in S. Colombano al Lambro (MI) in 1943. Performs technical studies in Lodi. Following the evening of Brera and a course in Caprese Michelangelo fresco (BE) with Prof.. Saldarelli Academy of Florence. It 'was a pupil of Louis Lomanto. Founding member of the Group Artemisia. Lives and works in a country house in S. Leonardo. Renata Ferrari born in Milan on 23-7-1960 lives in Milan and teaches art at the art school "Boccioni". He received his artistic maturity at the Art College in the Ursuline Sisters of St. Charles 1978. She graduated from the Academy of Fine Arts of Brera in 1982. Founding member of the Artemisia. It 'was a pupil of Louis Lomanto, Peter Diana, Angela Colombo, Zeno Birolli. Pea Trolli born in Milan on 20-4-1952. 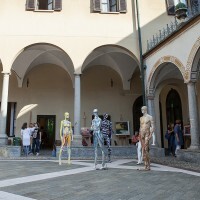 He received his artistic maturity in 1970 at the Art College Ursulines of S. Charles and his degree in architecture in 1976 Polytechnic of Milan. Founding member of the Group Artemisia. He studied with the painter Luigi Lomanto. 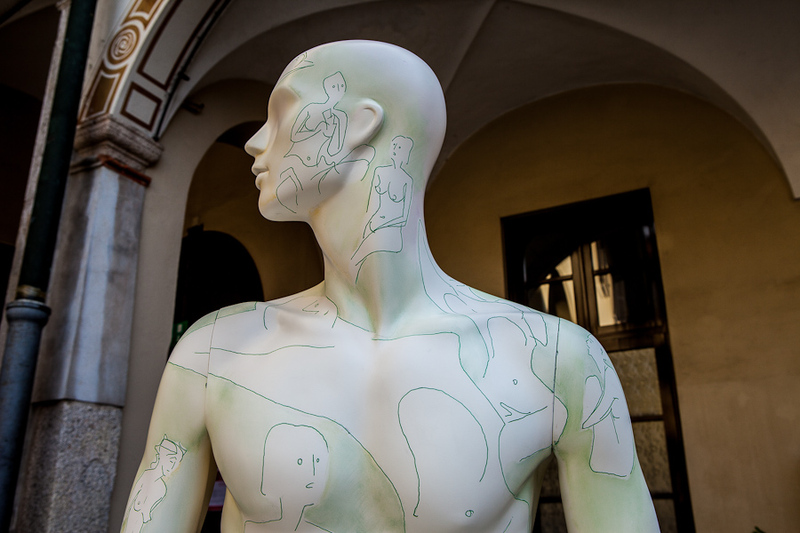 Lives and works in Milan, where he teaches and. Art at the middle school "and. Colorni ". Emanuela Volpe born in Milan on 30-04-1958, lives and teaches in Trezzano sul Naviglio art at the Art College in Milan Boccioni. He received his artistic maturity at Ursuline High School S. Charles in 1976. She graduated from the Academy of Fine Arts of Brera in 1980. Founding member of the Artemisia. It 'was a pupil of Louis Lomanto, Luigi Veronesi, Peter Diana, Angela Colombo, Raffaele degrades, Beppe Devalle, Domenico Purificato, Roberto Sanesi, Dino Lanaro. 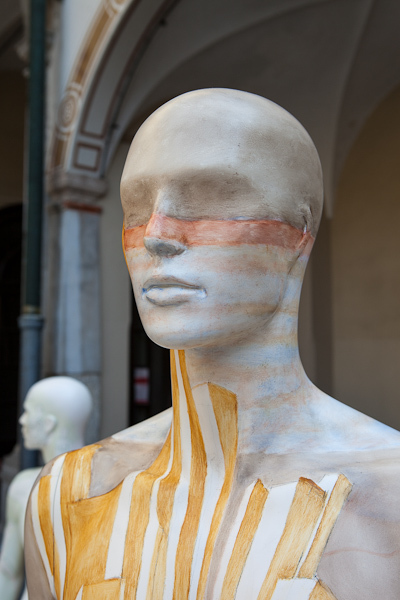 Mannequins Vision specializes in the creation and production of display mannequins, made on the basis of casts from real models, ensuring real proportions and optimum fit. 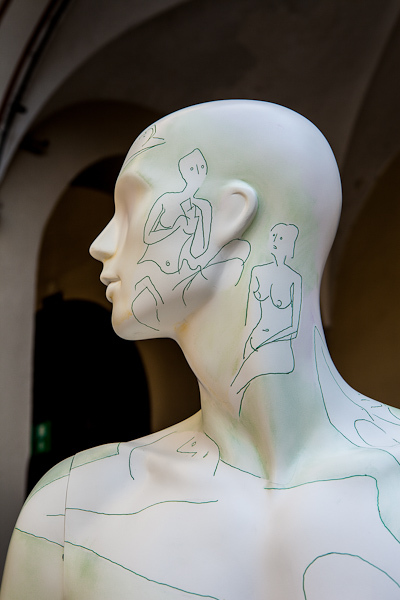 Vision Mannequins uses sculptors of clear and demonstrable experience creative, industry-specific "dummies", that lets you create templates "ad hoc" style, in the size or position. 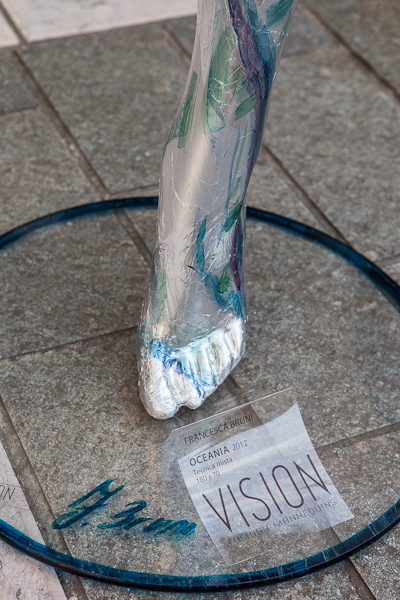 These capabilities have allowed Vision Mannequins to be counted among the official suppliers of some of the most famous brand in the fashion world. The day 24 May 2012 at 18,30 born ORSOLART, presenting for the first time in public with an exhibition-day event, to mark the first step of a cultural association dedicated to, open to new admissions and experiences. Places, environmental and architectural, angles, views, characters, moments in the life of their country. 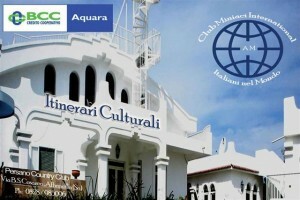 The Worldwide Art Gallery, through its prestigious Club Miniaci, organizes a selection of artists for a living painting, sculpture and photography. 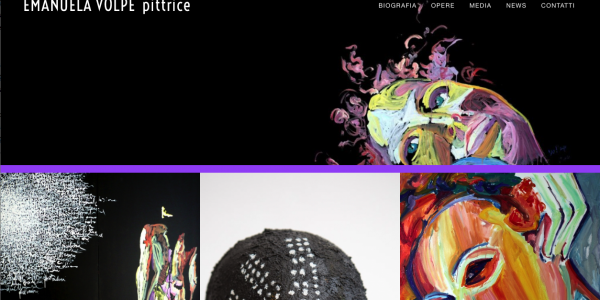 The company Art World, coordinated by the staff of the Miniaci Art Gallery, organizes a selection of artists to be included in a living cultural art, sculpture and photography. 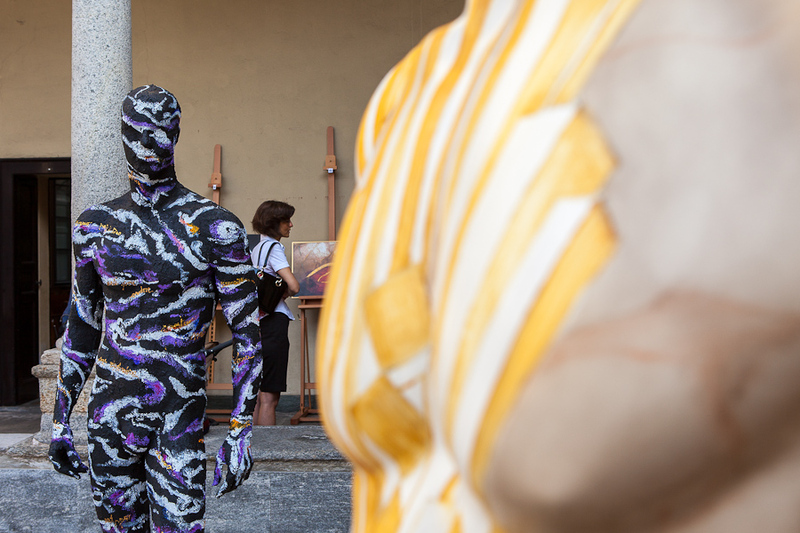 The selected artists will be able to better express their art, in a context, that of Persano * Country Club just outside of Positano and Paestum, teeming with ideas, Culture and history. Just in the story are the inherent purpose of the stay: all artists, de facto, will stop and think deeply about their past, on their origins and the magic of the place of origin. The context is crucial for us. The place in fact lull and will accompany the artists in their production. Positano, with its exclusive gallery by way of the Mills, able to bring out the magic that has created great works of established artists and the work of emerging artists. 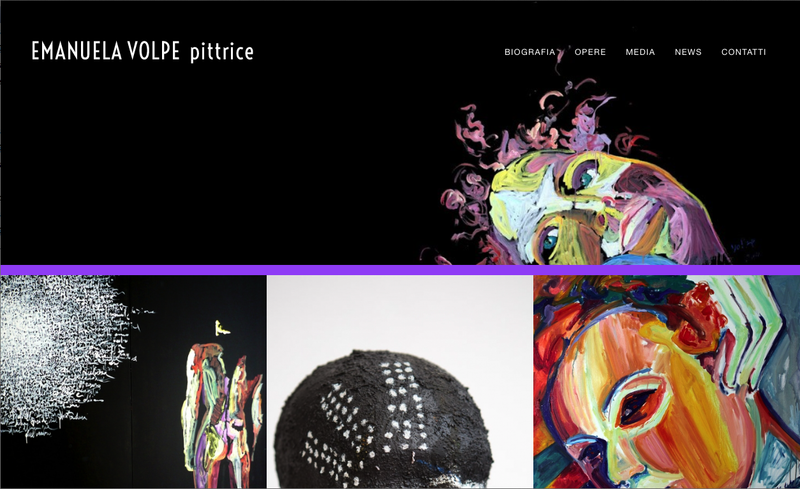 Artediretta is a website dedicated to artists living art as a profession or as a perspective, formed with the aim of offering a simple service, powerful and dynamic at a minimal cost. To join you must be invited or pass a selection. This is to ensure a good quality level of the associated. 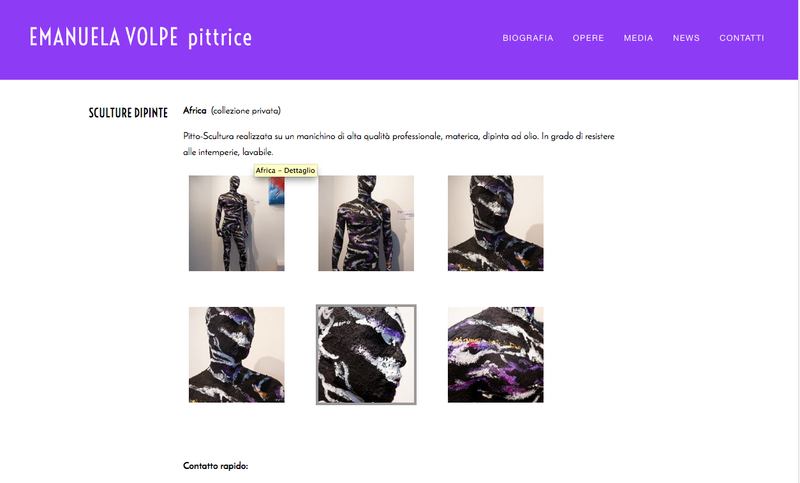 Each artist will have their own microsite, fully manageable and upgradeable with homepage, biography, exhibitions, news and gallery works. For those who want the option is also available for sale online payment Paypal.